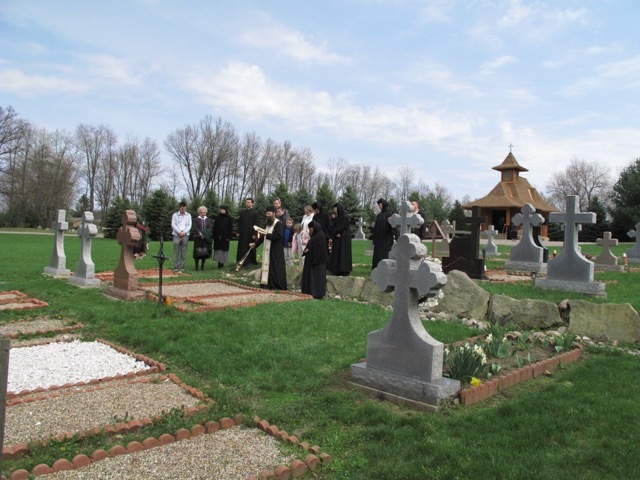 In keeping with the monastic tradition, we provide a final resting place for Orthodox Christians. 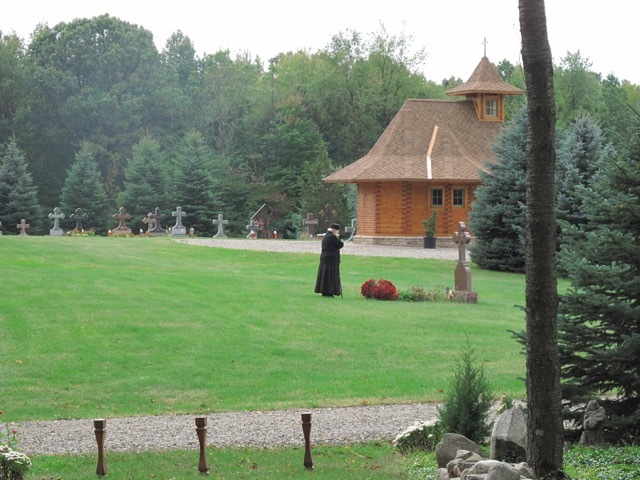 The private cemetery on the monastery grounds is maintained and attended to daily by one of the monastics. 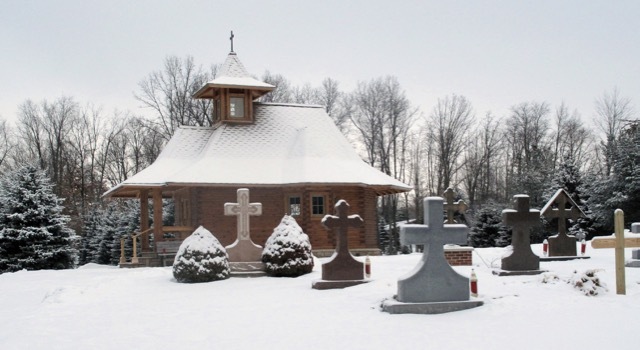 A small wooden chapel dedicated to St. Lazarus serves as a place of reflection and prayer. The cemetery is governed in accordance with the best interests of the monastery. 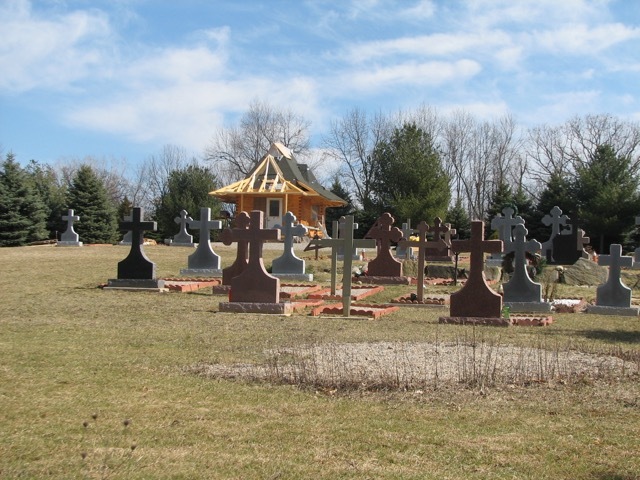 As of January 2018 due to limited space, plots in the cemetery are no longer available. 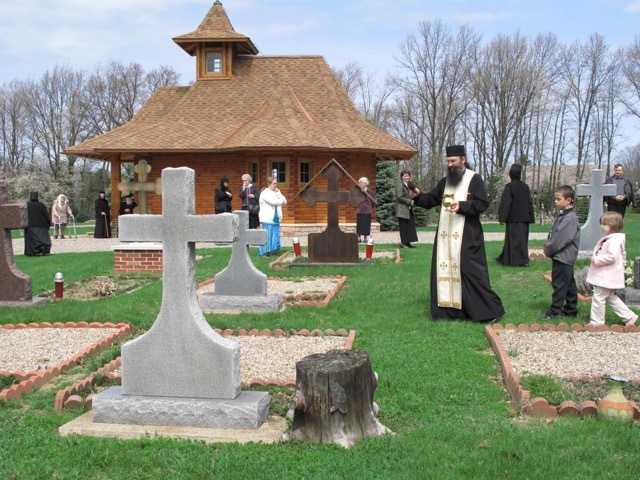 Visitors to the cemetery are asked to inform the monastics of their presence in the cemetery and respect its sanctity through appropriate behavior. that comes in the name of the Lord. granting divine forgiveness unto all.